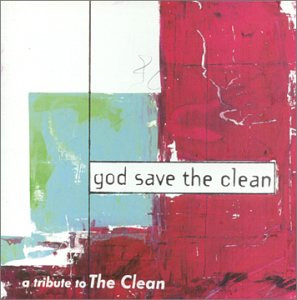 A tribute LP released in 1997 to New Zealand's indie power-houses The Clean. Guided By Voices tackle The Clean's jangle pop gem "Draw(in)g To A Whole" from the band's 1990 LP Vehicle. The compilation, released on New Zealand's classic Flying Nun Records, features additional cuts from Pavement and Tall Dwarfs' Chris Knox among 18 others! Draw(in)g To A Whole- 4 COVER SONG TIME. Like the other covers Guided By Voices have tackled, their versions tend to be close to form, paying complete homage to some of the great bands that inspired them. This version, even down to recording quality, is a pretty spot on match to the beautifully interwoven, melancholy jangle that is The Clean. The original's the one to go with, but this is an impressively spot on match, and perfect Pollard pop material.